In announcing the single, Capitol worked with Twitter to create an automated response tweet. Users who ‘liked’ Sam's tweet were sent one of five possible lyric GIFs, instantly creating a huge amount of shares and retweets. To give fans a taste of what is to come and celebrate his return, Sam will be performing a series of intimate shows in London, New York, Los Angeles and Berlin - a rare opportunity to catch the global superstar in such intimate setting. 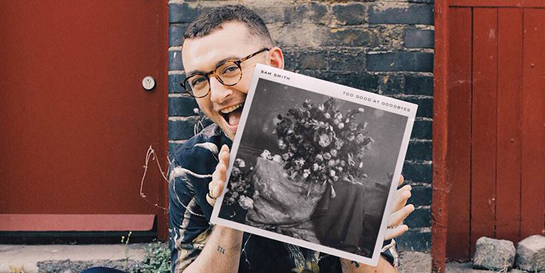 It’s been over three years since Sam Smith’s debut album In The Lonely Hour was released, and since then he has become one of the biggest acts on the planet with over 12 million global album sales, a number one UK album, five number one UK singles and an array of impressive awards, including an Academy Award, a Golden Globe, three Brit Awards, three Billboard Music Awards, four Grammy’s and six MOBO Awards, among others.